Manor on the Marsh. This phenomenal architecture is one for the books. Highest quality is artfully merged with comfortable livability in this extraordinary home. The timeless open floor plan offers every possible entertaining convenience done to the nines. 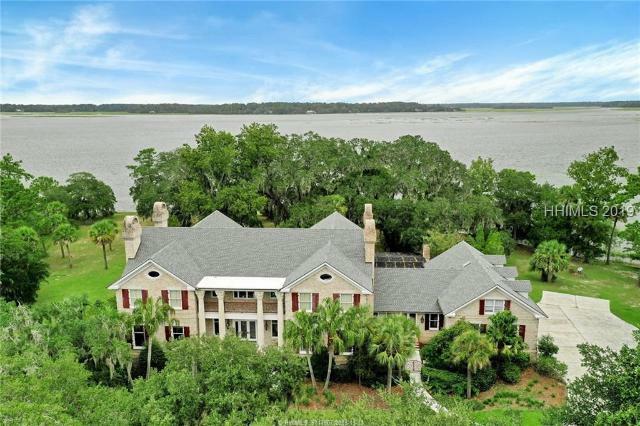 Experience a pinnacle lifestyle on the Colleton River Marsh in one of BelfairGÇÖs finest properties. Top craftsmanship and design dominate. Experience dramatic curb presence; a kitchen masterpiece with stainless steel, gorgeous cabinetry & granite; a mega butlerGÇÖs pantry; a dream lanai with summer kitchen; the ultimate master suite; a media room; two private offices. For the discerning buyer.